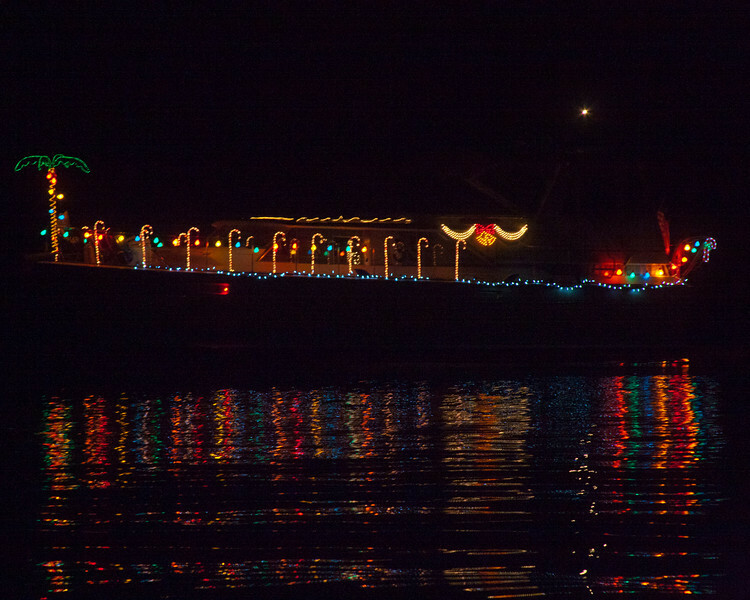 Lighted Boat in the Parade of lights moving up the Mokelumne River.The Lower Mokelumne River crosses California's Central Valley, flowing westward through Lodi, California, and ultimately meeting its confluence with the San Joaquin River in the Sacramento-San Joaquin River Delta. The river crosses or forms the border of five California counties: Alpine, Amador, Calaveras, San Joaquin, and Sacramento. December 10, 2011.